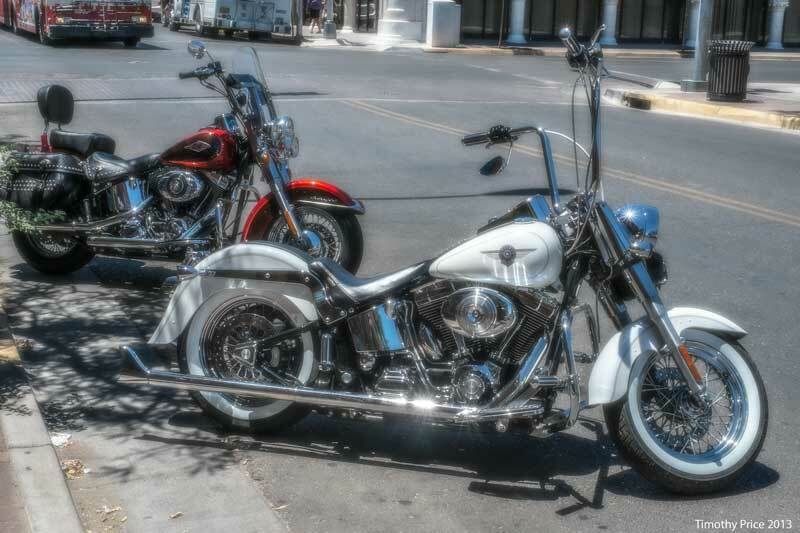 There were a couple of sparkling clean Harleys parked outside the office this afternoon. Anyone remember the “banana seat”? 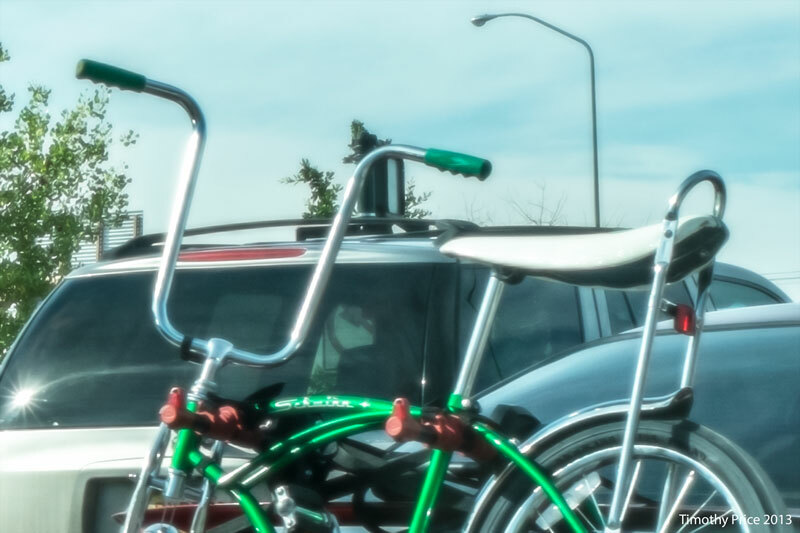 I had a bicycle like the green Schwinn pictured below many, many, many years ago! I had a Schwinn like that when I was a kid, but it had flat tires most of the time because of the thorns we call “goat heads” are so prevalent where we live. Now we have “green slime” to put in the tubes that keep the holes plugged — kids are so lucky today. I rode motorcycles for many years, but never had a Harley. Dreaming can be almost as much fun as reality, and the maintenance on dreams is much lower!